Professionals spend a majority of their hours awake at work,1 and yet 2 out of 3 are disengaged in their jobs. 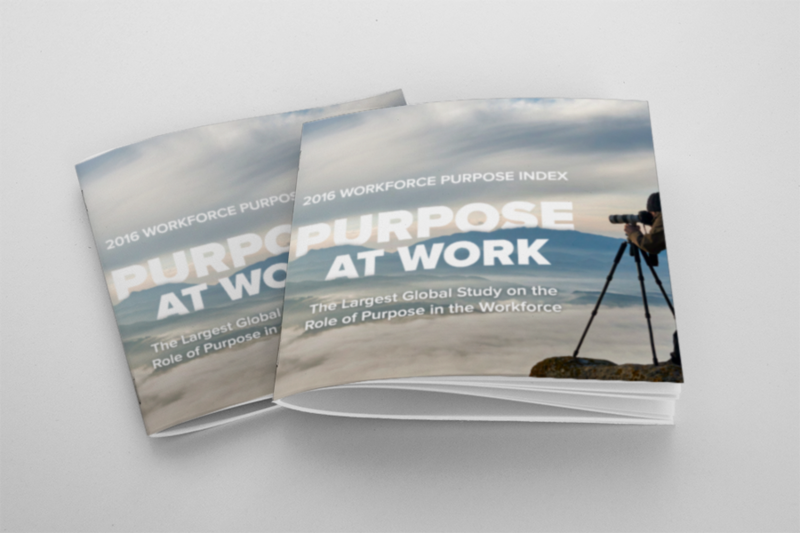 Only 30% of the U.S. workforce reports being actively involved, enthusiastic, and committed to their work. There has never been a more crucial time to connect people with their purpose.Imagine what would happen if every person was connected to purpose at work — to a job that mattered to them, their company, and the world. Imagine how much more productive and successful they’d be. Think of what we could collectively accomplish. You have the power to make work more meaningful. You can create engagement and inspiration — by connecting purpose with work.